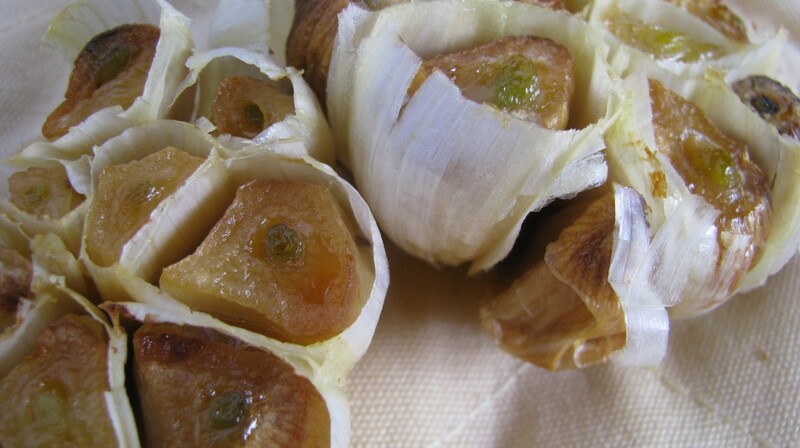 Baking garlic will bring out its naturally sweet, nutty flavour. Remove the loose outer skins and cut the top off the bulb. Put ¼ tsp. olive oil over each bulb. Place garlic in baker (or wrap in tin foil) baking 300F for one hour. 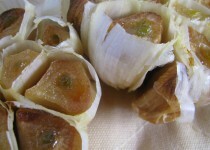 When cool, squeeze out the garlic flesh into a blender (can be made in advance and refrigerated). Add remaining ingredients and puree until emulsified. Thin with a little water if needed.